The London police have arrested a man suspected to have opened fire on a car after it repeatedly rammed the vehicle of Ukraine's ambassador to the UK on Saturday. It happened around 09.50 CEST in Holland Park, an upmarket area in west London. The attacker, a man in his 40s, was arrested at the scene. He wasn't injured but was taken to hospital as a precaution. The incident is not being treated as terrorism, the police added. "The official vehicle of the ambassador of Ukraine to the United Kingdom was deliberately rammed as it sat parked in front of the embassy of Ukraine’s building," said the embassy in a statement. "The police were called immediately, and the suspect’s vehicle was blocked up. Nevertheless, despite the police actions, the attacker hit the ambassador’s car again. "In response, the police were forced to open fire on the perpetrator’s vehicle. The culprit was apprehended and taken to a police station." 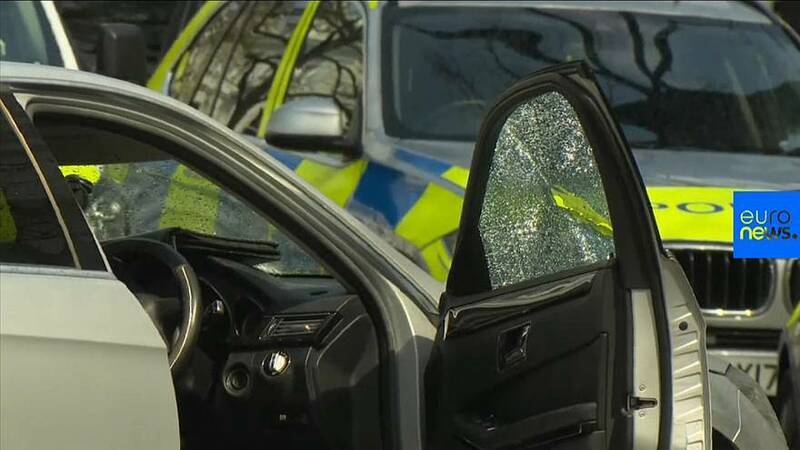 Chief Superintendent Andy Walker, from the Metropolitan Police's specialist firearms command, said: "As is standard procedure, an investigation is now ongoing into the discharge of a police firearm during this incident. The incident is not being treated as terrorist-related, the police added.